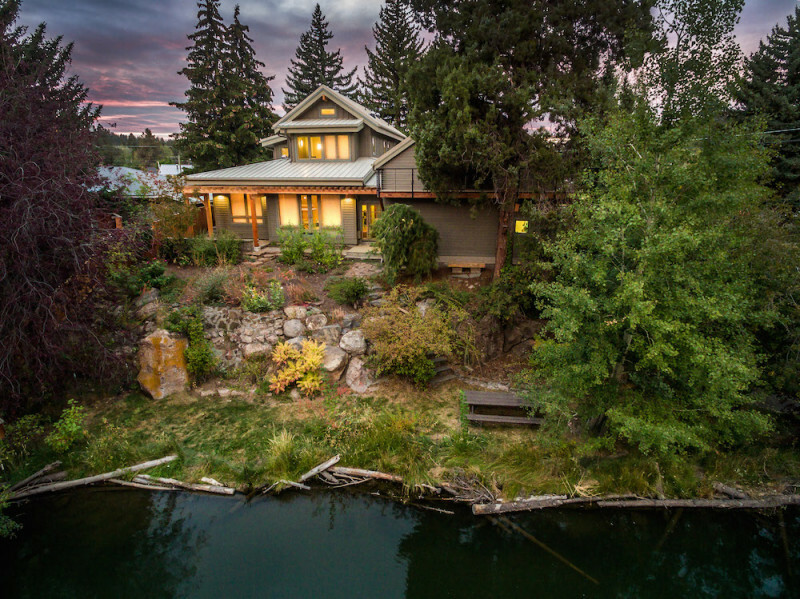 As green and custom home builders in Bend, we’re pleased to share that the Sweetwater home is certified Earth Advantage Platinum. The remodel/addition incorporates many important green and sustainable products and technologies while remaining simple. The home’s building envelope is high-performance, using staggered-stud framing with triple pane windows with adjustable night insulation. The Energy Star appliances; LED lighting, and on-demand water heaters reduce energy consumption, and the low VOC materials/finishes and repurposed materials increase the livability and healthy elements of this home. Sweetwater also has a 4.6 kW grid-tied solar PV system can produce 5,000 kWh and a rainwater catchment systems that captures roof runoff in a 3,000 gallon underground cistern.